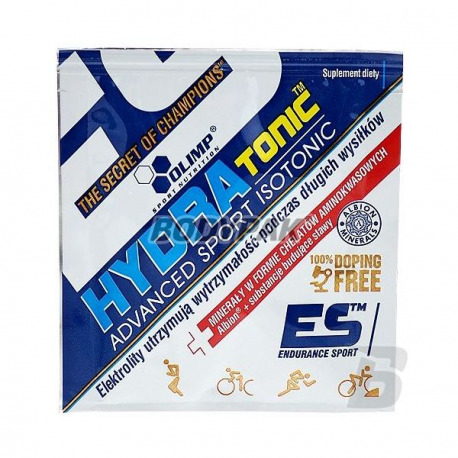 CarbohydratesOlimp Hydratonic - 1 sasz. Olimp Hydratonic - 1 sasz. 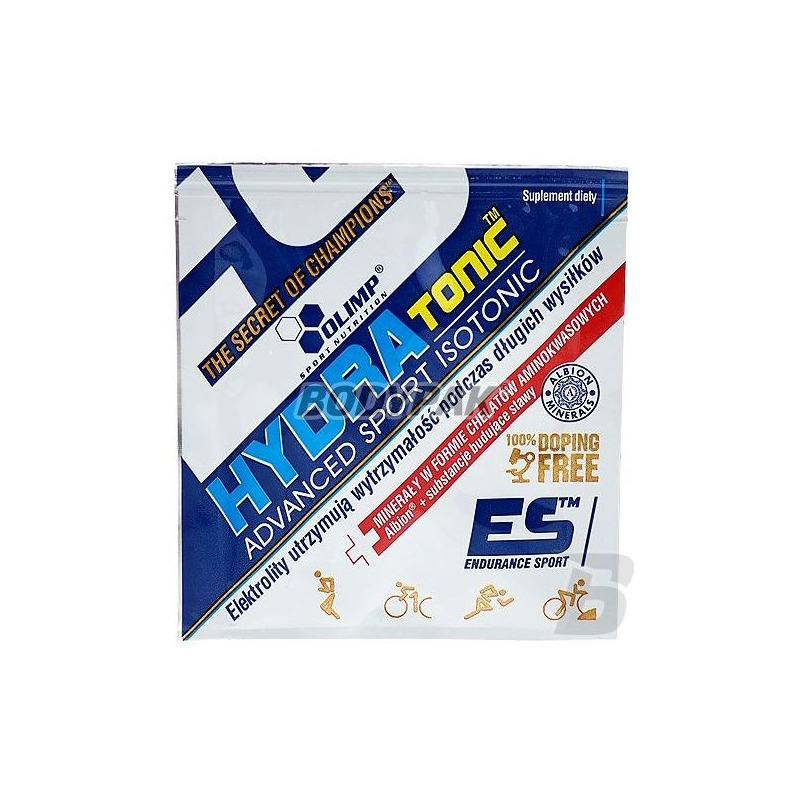 Hydratonic is designed for both professional athletes and amateur. It uses ingredients of the highest quality, which is known for its firm Olympus. It uses minerals Albion Minerals, which have the highest bioavailability. Used in the preparation of collagen is hydrolyzed form, which absorbs quickly and effectively supports the joints. Combining it with glucosamine, chondroitin and hyaluronic acid gives a synergistic effect - effect is amplified, and after some time, the joints become much stronger and also less susceptible to damage. Accept 1 serving every 30 minutes of exercise. Kupiłem, spróbowałem i jestem na prawdę pod wrażeniem! Regeneracja po skończonym treningu zdecydowanie lepsza, znacznie szybciej wróciłem do pełni sił!